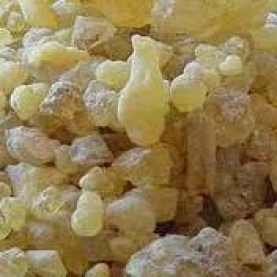 Frankincense Hydrosol is very powerful for energetic work and for skin issues just like the essential oil of Frankincense. A few drops taken internally, undiluted, gives the sensation of energetic expansion from the solar plexus (3rd chakra). Topically, it is wonderfully supportive and beneficial for the skin. This hydrosol can be misted directly on the face daily and allow to air dry to enhance the texture of the skin, according to Suzanne Catty.